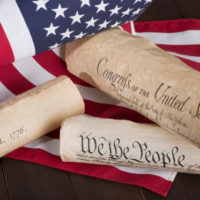 On June 22nd, the U.S. Supreme Court made a monumental decision upholding protection of privacy under the Fourth Amendment when it decided that the government (i.e. police and law enforcement) first needed to obtain a warrant (and thus demonstrate probable cause) before tracking an individual’s location using cell phone records. The decision makes an important statement about privacy rights in the digital age, particularly when it comes to information that we voluntarily share with third parties. It also arguably opens the door to other contexts, whereby criminal defendants will hopefully be able to argue that similar privacy protections – and warrant requirements – should have applied. The case involved a string of armed robberies, where one defendant confessed and handed over the cell phone numbers of two others individuals alleged to be involved. The FBI then obtained cell-site records for these individuals, placing these two others near the robberies, and relying on the Stored Communications Act to do so. The Act authorizes the government to obtain cell phone service providers’ records under certain circumstances (i.e. provided that the telecommunications records offer “specific and articulable facts showing that there are reasonable grounds to believe that the records sought are relevant and material to an ongoing criminal investigation”). After being charged with aiding and abetting a robbery, the defendants moved to suppress the cell-site evidence, arguing that the Fourth Amendment demanded that the government first demonstrate probable cause and obtain a search warrant. They argued that the “reasonable grounds” standard required under the Act was too low a standard of proof, given the specific circumstances of the case. The federal appeals court originally held that the courts had not yet extended protections afforded to the “modern-day letter” to internet communications or IP addresses under the Fourth Amendment. The U.S. Supreme Court disagreed, reiterating that “the Fourth Amendment protects people, not places,” and stated that, when someone seeks to preserve something as private, his or her expectation of privacy is one that society is prepared to recognize as reasonable. According to the majority opinion, under these circumstances, an official intrusion into that private sphere generally qualifies as a search and requires a warrant supported by probable cause. In coming to this decision, the Court relied on the Framers’ intent, which it described as “to place obstacles in the way of a too permeating police surveillance.” It pointed out that, as technology advances and enhances the government’s ability to encroach upon what was once private, the Court itself must be diligent in preserving the degree of privacy against the government that existed when the Fourth Amendment was first adopted. If you are facing criminal charges and your cell phone data has been illegally seized, you need to speak with an experienced criminal defense attorney right away in order to ensure that your rights are protected. Contact the office of Phillip J. Murphy for a free consultation—we serve clients throughout New York and New Jersey.